MWCC’s expanded containment system includes modular capture vessels (MCV) that each have 700,000 bbl of liquid storage capacity. In a cap and flow, fluids will be directed from the well to the MCVs through flexible pipes and risers. 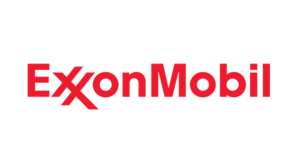 MWCC later gained six additional members: Anadarko, Apache, BHP Billiton, BP, Hess and Statoil. MWCC’s mission is to be continuously ready to respond to a deepwater well control incident in the US GOM. In February 2011, MWCC’s interim containment system (ICS) became available for use in the deepwater US GOM. The ICS is equipped with a 15,000-psi capping stack, which weighs 100 tons and provides a dual barrier for containment. When it was introduced, the capping stack could function in 8,000 ft of water; later it was confirmed to be capable of capping a well in up to 10,000 ft of water and to cap and flow a well in up to 8,000 ft. The system has the capacity to handle up to 60,000 bbl/day of liquid and up to 120 million scf/day of gas. 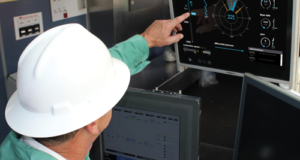 The MWCC interim system is available to all operators in the US GOM, whether members or non-members, on a per-well basis. 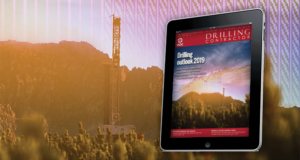 As of 15 September, 124 permits to drill citing MWCC’s system have been approved by the US regulator. 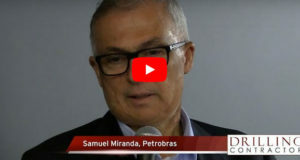 Since the ICS became available, and as MWCC members have continued to look for new and deeper sources of hydrocarbons, additional enhancements have been made to the system’s capabilities. For example, in September 2012, the capping stack was upgraded for use in up to 350°F with pressures up to 12,750 psi. Then, in August 2013, the stack was upgraded to accommodate a 15,000-psi well at 350°F. 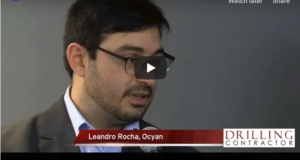 To further advance its technology, MWCC introduced a new capping stack in January this year that resulted from collaboration with its members. This smaller, 10,000-psi capping stack with a dual ram is designed to reach deepwater areas where well casing and riser systems are close together. Similar to the first capping stack, this stack can cap a well in up to 10,000 ft of water. It stands 25 ft tall, including the necessary lifting gear, and weighs approximately 50 tons. Its 9-ft x 9-ft frame allows it to maneuver easily in smaller areas – such as tension leg platform (TLP) applications where wells are beneath a floating production facility. 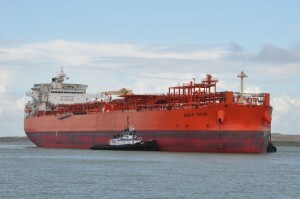 The Eagle Texas, formerly an Aframax tanker, is one of two modular capture vessels that will be part of MWCC’s expanded containment system. As MWCC has enhanced its interim system, it has also continued building its expanded containment system (ECS). The ECS – which represents an investment of more than $1 billion by MWCC members – is being built with components already starting to be delivered. Full delivery is expected in 2014. It will be more flexible to accommodate varying member needs, including greater containment capacity and use in deeper water depths. It will be able to cap and flow a well in up to 10,000 ft and handle up to 100,000 bbl/day of liquid and up to 200 million scf/day of gas. The ECS design includes two capture vessels that are modified Aframax tankers, each with up to 700,000 bbl of liquid storage capacity. 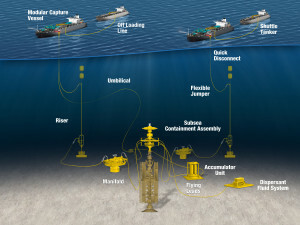 In a cap and flow situation, the system redirects the flow of fluids from the deepwater well to these modular capture vessels (MCVs) through flexible pipes and risers. Using modular, adaptable process equipment on the capture vessels, the system can separate liquids from gas, handle the gas and safely store the liquids until their transfer by shuttle tanker to shore for further processing. 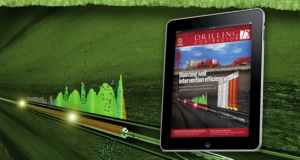 The expanded system flowlines will allow the MCVs to be up to 5,000 ft (nearly one mile) away from the wellhead. This will help decrease congestion on the surface at the incident site. The vessels’ turrets also disconnect quickly if the MCVs need to move away from the site due to weather. 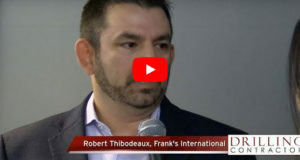 The system will have a newly fabricated subsea containment assembly (SCA) that will create a connection and seal, as capping stacks do now for the interim system, if one is needed for a response. 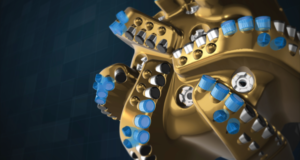 However, the new assembly will offer technological enhancements from our current capping stacks – including the ability to allow operators to function valves and chokes remotely via an umbilical. The umbilical, which is the deepest ever built, will function in 10,000-ft water depths and provide continuous, real-time pressure and temperature data to the MCVs on the surface. 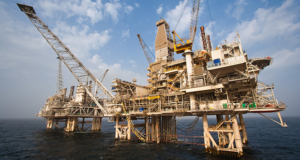 The assembly, which includes a new capping stack, will contain a suite of adapters and connectors to interact with various interface points, including a variety of well designs and equipment used by oil and gas operators in the US GOM. In addition to this enhancement, this system involves several other firsts for the industry, including the deepest production risers (reaching 10,000-ft water depths) and the shallowest free-standing adjustable risers (reaching 2,000-ft depths). 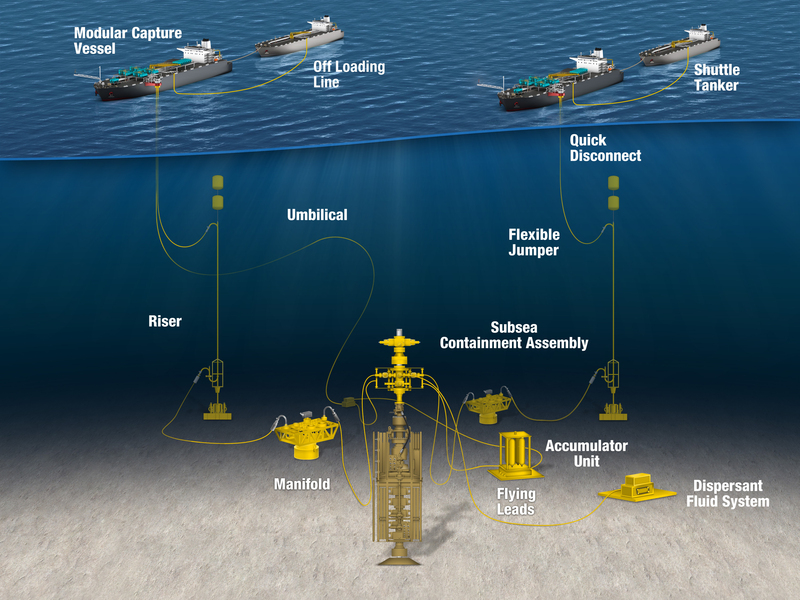 Additionally, the subsea flexibles are the deepest ever supplied for production. The capture vessels will be used for lightering service when they aren’t needed for a response. 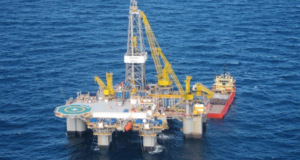 If the MCVs are needed to respond to a cap-and-flow well containment incident in the US deepwater GOM, they would immediately be called in to MWCC’s MCV shorebase location and outfitted for capture operations. 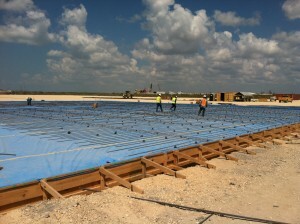 Construction workers build the warehouse and yard at Kiewit’s Ingleside facility near Corpus Christi, Texas. The facility will provide for the storage, maintenance and testing needs of MWCC’s ECS plan. MWCC has identified two shorebase locations to support the storage, maintenance and deployment needs of the expanded system. In April, MWCC announced its selection of Mobile, Ala., as the shorebase location to house its subsea umbilicals, risers and flowlines equipment. The facilities and services of Technip USA and Core Industries will be used to store, maintain and test this equipment. An 80,000-sq-ft warehouse is under construction at this shorebase, which will also include 13 acres of equipment lay-down space. The facility also offers 1.3 acres of dockside storage for heavy equipment, as well as access to one 660-ton crane and two 300-ton cranes that would be used to lift the equipment onto vessels during a deployment. In July, MWCC announced that Kiewit Offshore Services in Ingleside, Texas, was selected as the second shorebase equipment to house and test the equipment needed to outfit the MCVs for a response. For these purposes, a 40,000-sq-ft warehouse is being constructed. 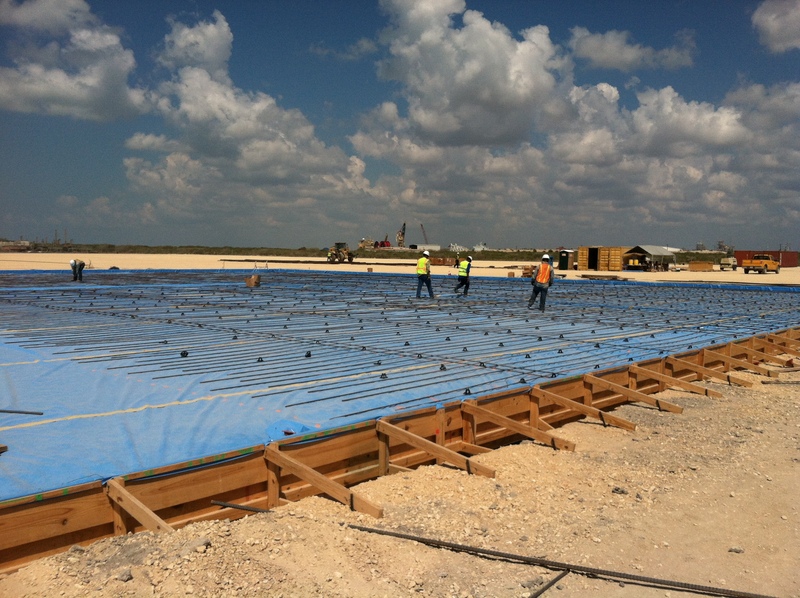 The MCV shorebase location also includes lay-down space of 12 acres. Requirements for an MCV shorebase provider include a large, readily available and skilled workforce, multiple large cranes, sufficient water depth, and a bulkhead able to accommodate both of the MCVs at once. In addition to putting the right equipment and facilities in place at these strategic shorebase locations, MWCC also identified a vendor to provide the skilled workforce necessary to operate the processing equipment during a response. 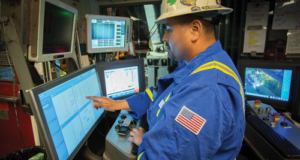 MWCC, in conjunction with Wood Group PSN in Lafayette, La., maintains a roster of nearly 100 experienced GOM-based staff who would be given production operations roles onboard the MCVs during a deepwater well control incident. This reservist response team was selected from Wood Group’s workforce working on GOM platforms. The team members will continue to work in their various assignments but will be on reserve in the case of an incident requiring deployment of the MCVs. The team will meet regularly for ongoing training to ensure it is able to safely and effectively operate MWCC’s equipment. 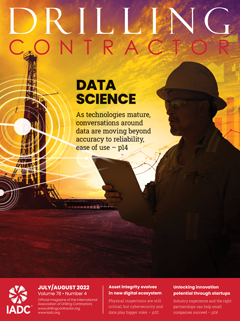 As MWCC continues to progress with the expanded system and ensure its operational integrity, the company also stays close with its members to advance technology. Looking ahead at the advancements that might be required for the future is an important part of MWCC’s overall mission. While the exact next steps aren’t known at this time, MWCC is committed to advancing well containment technologies and to being continuously ready to respond. 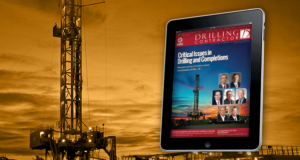 This article is based on a presentation at the 2013 IADC Well Control Conference of the Americas, 20-21 August, Galveston, Texas.